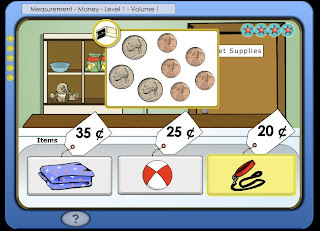 When it comes to studying math skills and building reading comprehension skills, there is little that engages my daughter as much as a computer program that is animated, interactive and easy to use. 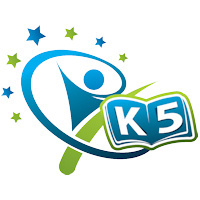 With K5 Learning, an online reading and math program for kids from kindergarten to grade five, that is exactly what you get. The program has been designed for home use and can be used after-school, on the weekend, over the summertime to help bridge the learning gap or even as a complement to a homeschooling program. In a world where children yearn to investigate, interact and ingest information through the use of technology, K5 Learning can help kids learn and build on essential reading and math skills while developing good study habits and independence. Back in the spring, both my daughter and nephew began a six-week trial of K5 Learning. At the onset, I had my daughter, then six years old, complete an online assessment of eight key reading and math skills. She then continued to complete individual lessons that were automatically selected based on her assessment. All the while, K5 Learning would track her progress and would select a subsequent lesson based on her level of ability the next time she would log on. This makes it all the more appealing for parents because they need not worry about whether or not the next lesson would be too hard or too easy. Plus, it also allows children to work at their own pace. Parents, however, have the option of assigning particular lessons as they see fit, perhaps to coincide with the concepts currently under study at school. They can also assign specific spelling words to be studied. Again, this could easily be spelling words that are being taught at school that week. The K5 Learning interface is simple to use and I appreciate the absence of clutter. Unlike other educational programs we have purchased in the past, K5 Learning is not about playing games or simulating a virtual reality. And while the program is animated, its goal is not to provide entertainment either but rather curricula-based education that is interactive and engaging. With over 3,000 online multimedia activities, you can be sure that the program extensively covers the core subjects of math and reading. And as long as you have wi-fi, your child can connect from any computer and continue where he/she left off. This would be great to have in the classroom for obvious reasons but I keep thinking about how some students finish their work in class before many of the others and need something to keep them busy. K5 Learning could be just what the teacher ordered to solve that problem! I would highly recommend K5 Learning to others as it was a great success with my 8 year old son. He tried it for a couple of months and his teacher commented on how much he improved his reading in school. My son typically struggles with reading and has come very far this year. He's the type of kid when you ask him to get out a book and read, it is always a struggle. On the other hand, get him to do something that has to do with technology and he can't get enough. My son loved using the K5 Learning Program. He was happy with the positive feedback it gave him throughout his lessons in reading. He did some of the math lessons but his main focus was on the reading ones. From a busy parent's perspective, I was glad that he could manage it on his own. He would need help logging on but then he would be off and flying. He really liked the jokes/riddles at the beginning. To him it wasn't like he was doing homework, it was fun work! For school, he would need to read 20 minutes a night to earn Lima Beans so when he read a book every 2 minutes he would ask if 20 minutes had gone by whereas with K5 Learning he could be on it for hours if I let him! That is a huge plus for me. Having audio was great to help out with those tricky sounds. I would really like to see this available in the classrooms. I am a French teacher and I wonder if a French version will ever be available as well. Technology is the leading way in most schools nowadays and this would be a beneficial program for students to have access to. Total safety, no ads, no chat and no external links. Convenient, 100% online. No downloads or installation required. You can visit K5Learning.com to learn more and to test out a 14-day trial. Monthly subscriptions cost $25 per month and $15 for each additional child. Yearly subscriptions cost $199 and $129. Based on my experience, it is definitely worth the investment and more affordable than hiring a tutor. It also comes as no surprise that K5Learning is the recipient of several awards for Best Educational Software this year. My only hope is that they will work on developing a K5 Learning application to be used on an iPad and other smart devices. Disclosure: K5 Learning provided a six-week trial of the program for both my daughter and nephew to explore. The opinions expressed in the post belong to myself and/or my sister. Looks like a wonderful program Diana, somehow when Math is incorporated into a game all most kids love it! Yes, the money situation is frustrating , I think our money is prettier anyway! I agree with you wholeheartedly, Sherrie Mae!